Home » Uncategorized » Celebrate with the Family! Posted by Mary Lubic on Apr 10, 2019 in Uncategorized | Comments Off on Celebrate with the Family! 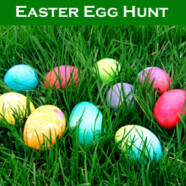 Join our Family Ministry as they present an egg hunt for all the children after the 9 am, 11 am and 1 pm Masses on Easter Sunday. We’ll meet outside the front doors of the church. Donuts will be served at the front doors of the church after the Easter Masses. Enjoy some fellowship before heading home!